Member states must be resolute in ensuring that the HFO ban is adopted in 2021: Dr Sian Prior. As the International Maritime Organization's Marine Environment Protection Committee (MEPC 73) gathers today in London, the Clean Arctic Alliance (CAA) - a coalition of 18 non-governmental organisations (NGOs) committed to banning the use of heavy fuel oil (HFO) as a marine fuel in Arctic waters - has called on member states to "renew their commitment" so that a ban on the use and carriage of heavy fuel oil in the Arctic can be adopted in 2021. At MEPC 72, in April, the majority of IMO members agreed in principle to this ban. And HFO is back on the agenda this week, when MEPC 73 will examine an impact assessment methodology ahead of sending the 'Scope of Work', which sets out the work to be done to reduce the risks associated with the "use and carriage of heavy fuel oil as fuel by ships in Arctic waters", including the proposal for a ban, to a sub-committee on Pollution Prevention and Response (PPR6) in February 2019. 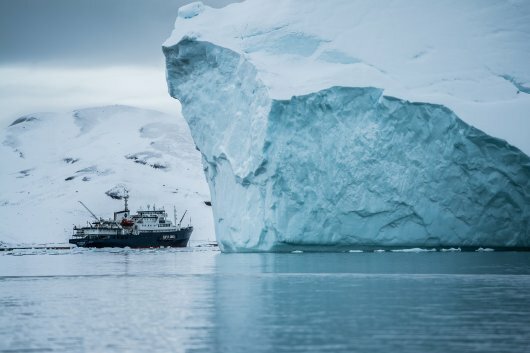 "IMO member states must be resolute in ensuring that the Arctic ban on heavy fuel oil is developed by 2020, and adopted in 2021, to protect Arctic ecosystems and communities from both the threat of oil spills and the impact of black carbon emissions," said Dr Sian Prior, lead advisor to the Clean Arctic Alliance. "Discussions regarding impact assessments at MEPC73 must support, but not hinder progression towards the ban. In addition, IMO member states have a duty to ensure that Arctic communities are not forced to carry any economic costs associated with a ban on the use and carriage of heavy fuel oil." "Nearly a decade has passed since the Arctic Council published its Arctic Marine Shipping Assessment (AMSA), identifying that an oil spill is the greatest threat to the Arctic from shipping," concluded Dr Prior. "Until a ban on HFO is in place, this threat remains. With climate change driving the retreat of sea ice extent along the Northern Sea Route, Arctic nations are expecting major expansion in shipping in the region, and major shipping companies are running test voyages to check its viability for moving goods between Asia and Europe. It's imperative that heavy fuel oil is banned before any further expansion occurs. We call on the shipping industryto heed AMSA's call to reduce severe risks the Arctic marine environment. The proposed ban is a major step towards reduce this risk." The strongly worded MEPC 72 proposal to ban HFO as shipping fuel from Arctic waters was co-sponsored by Finland, Germany, Iceland, Netherlands, New Zealand, Norway, Sweden and the US. The proposal, along with a proposal to assess the impact of such a ban on Arctic communities from Canada, was supported by Australia, Belgium, Czech Republic, Denmark, Estonia, France, Ireland, Japan, the League of Arab States, Poland, Portugal, Spain, Switzerland, and the UK. Support also came from Denmark, which was the sixth Arctic nation to support the ban. In September, Greenland announced that it would add its support for a ban. And, earlier in July, the Inuit of Alaska, Canada, Greenland and Chukotka added further weight to the calls to end the use of HFO in the Arctic in the Utqiagvik Declaration. The EU has continued to offer support for a HFO ban, including as part of an EU Parliament resolution in the context of the 2030 Sustainable Development Goals. On Friday October 19, speaking at the Arctic Circle conference in Iceland, EU Commissioner Karmenu Vella said that "reducing black carbon emissions in the Arctic remains high on our list of priorities. And after the entry into force of the Polar Code last year, we are now pushing for international standards for ships using and/or carrying Heavy Fuel Oil." Canada and Russia have also both supported IMO work to consider ways to mitigate the risks associated with HFO, but Canada has yet to take a position on a ban. Recent analysis by CE Delft of the potential impact of a HFO ban on consumer goods found that additional costs of food shipped to Iqaluit in northern Canada would increase household expenditure by 0.2 percent, assuming that the ban-related additional transport costs are fully passed on (although other newly published research has shown that there was no correlation between fuel costs and food prices in the same region between 2014-2017). "The world is moving ahead with a ban on use and carriage of heavy fuel oil. By committing now to banning the world's most hazardous and polluting ship fuel from the Arctic, the Canadian government could provide certainty to Canadian businesses, and ensure communities are ready, and industry remains competitive," said Andrew Dumbrille, Senior Specialist, Sustainable Shipping at WWF Canada. To date, Russia has considered a ban on use of HFO in the Arctic as a 'last resort'. While this appears to be still the case, one of the biggest users of HFO in the Arctic, Russian state-owned shipping company Sovcomflot has spoken openly about the need to move away from oil-based fuels, and marine bunker fuel supplier Gazpromneft expects to halt fuel oil use from 2025. Significantly, in August 2018, Russian President Vladimir Putin and Finnish President Sauli Niinisto made a joint statement on the need to move to cleaner ships' fuels, such as LNG in the Arctic. Furthermore, Russia has also announced its intention to massively increase the volumes of cargoes transported on the Northern Sea Route - setting itself a target of 80 million tonnes by 2024, of which 40 percent would be LNG. "During the past couple of years the Clean Arctic Alliance has worked very actively promoting alternative fuels in Russia, and finally we are seeing some serious movement towards a HFO free Arctic," says Alexey Knizhnikov, Oil & Gas Programme Leader at WWF Russia. "We are seeing more and more support for the use of alternative bunker fuels from both Government agencies and industry. An additional factor that would result in a faster switch from HFO to an alternative such as LNG - would be to use LNG as an energy source for Russian arctic settlements, instead of coal and oil. So while Russia has not yet supported a ban on HFO fuel in the Arctic, we believe it is arguably very well placed to lead the exodus from heavy fuel oils."